Since 1988, the ASL companies has anticipated and met the transportation and logistics needs of our customers. 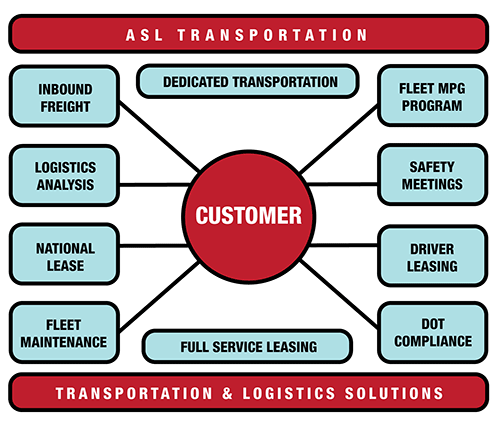 ASL provides comprehensive transportation solutions to help our customers run a more productive business. ASL has excelled by offering innovative solutions, an entrepreneurial spirit, customer satisfaction, and excellent service. And we combine that with a team of professionals offering a commitment to excellence, integrity, and the best ‘positive attitude’ in the industry.